The Pizza Files: Pizza Files 2010 Summer Binge, Stop Fourteen. Pizza Files 2010 Summer Binge, Stop Fourteen. Early in the week I started planning pizza eating for Saturday, I called the Man, who said "Dude... can't make it on Satruday, how about this new place on Friday?". A new pizza joint, I'm all over that. That's how St. Louis National Pizza Co. (aka Natty's) became stop fourteen on the 2010 Binge. We ordered a house salad with the house dressing. Sorry no photos, the Man and Dude were talking, they forgot. For pizza we had a 16" New York style with half "the rae-rae" and half Canadian bacon and bacon. We actually ordered Canadian bacon and pineapple. We were offered a new pizza, but choose to eat the one we had, it was actually pretty good. The rae-rae has a four cheese blend, tomato slices, and fresh basil. Even though there was some Provel cheese in the blend, it was still very good! 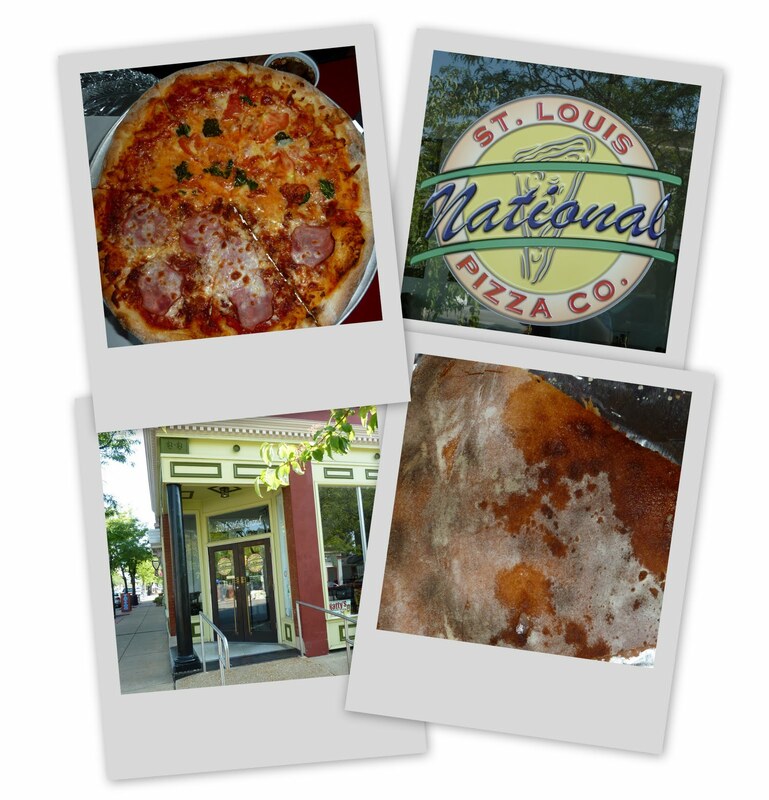 The name St Louis National Pizza Co. may make you think it's a chain, but it's not. The National comes from the fact that the owner traveled around the nation working at pizza joints learning the trade. Natty's is defiantly worth a return visit, plus I still have to try their Chicago deep dish pie. Pizza Files 2010 Summer Binge, Stop Thirteen. Pizza Files 2010 Summer Binge, Stop Twelve.